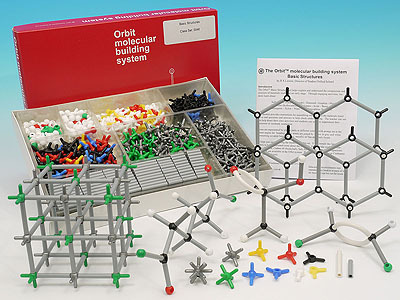 400 atoms, 395 bonds, 1 activity booklet. 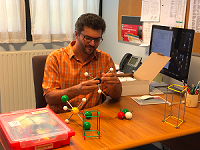 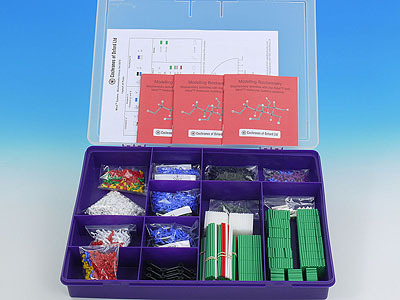 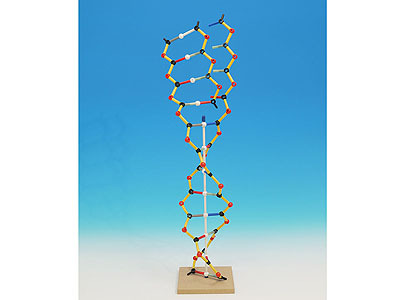 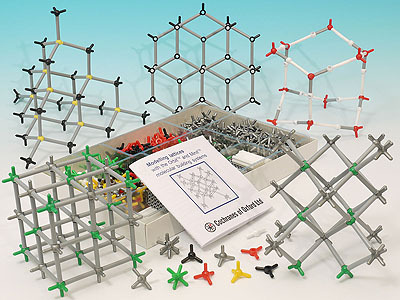 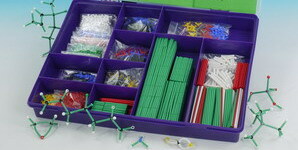 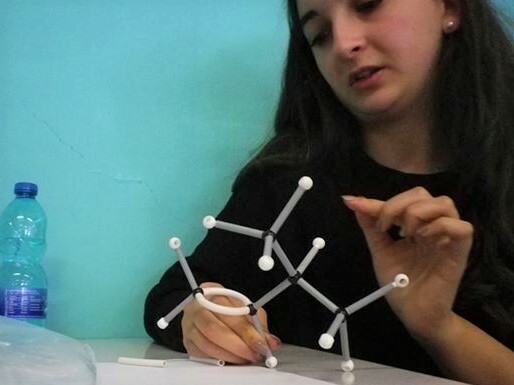 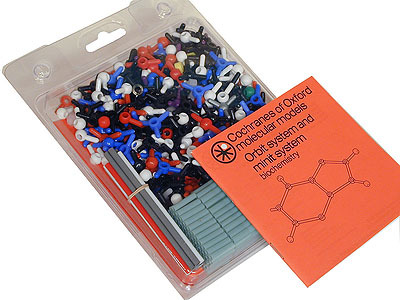 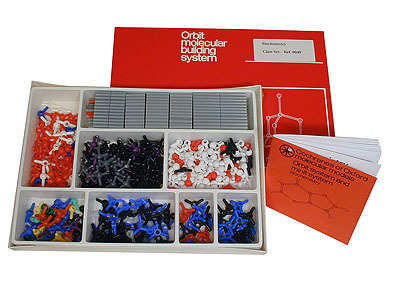 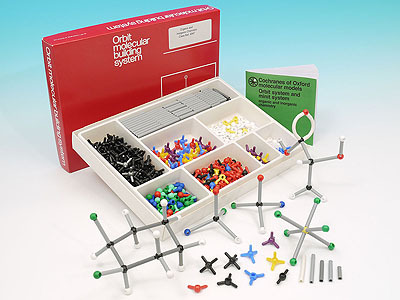 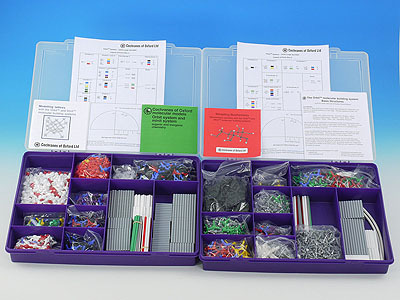 Compartmented box and a large quantity of atoms enable you to construct multiple models for group activities. 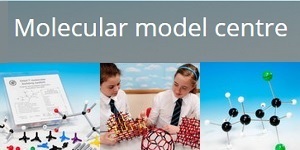 The contents allow you to cover topics commonly studied at Advanced level (ages 17-18), college and university. 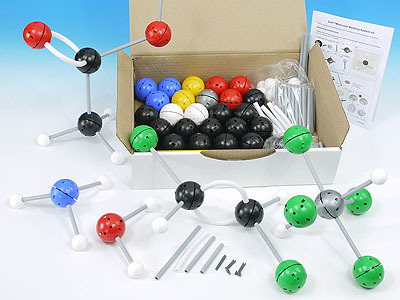 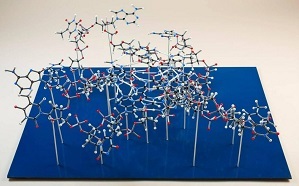 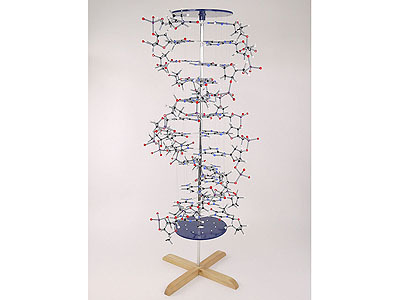 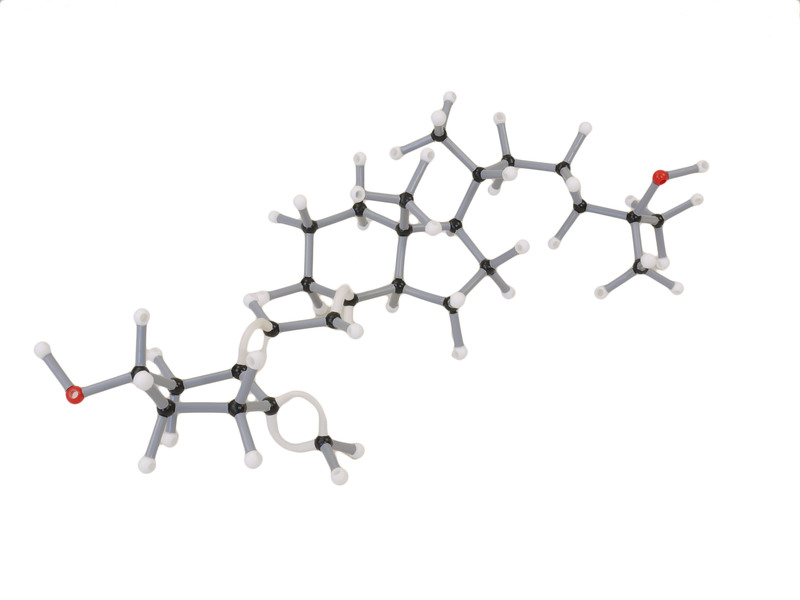 These include amino acids; monosaccharides, glycerol, fatty acids, steroids, purines and pyrimidines, peptides, disaccharides, lipids, nucleosides, nucleotides, proteins, polysaccharides, nucleic acids.